Hope College is a distinguished and distinctive four-year, liberal arts, undergraduate college, affiliated with the Reformed Church in America. Its great religious heritage is expressed through a dynamic Christian community of students and teachers vitally concerned with a relevant faith that changes lives and transforms society. The curriculum offers a variety of courses in 87 majors leading to a Bachelor of Arts, Bachelor of Music, Bachelor of Science, or Bachelor of Science in Nursing degree. The college has long been known for outstanding pre-professional training. Each year many graduates go on to further study in the leading graduate and professional schools in this country and abroad; others directly enter professions. During the 2009-10 school year, Hope enrolled 3,230 students from 42 states and territories and 30 foreign countries. Hope College is accredited by The Higher Learning Commission* and a member of the North Central Association. Hope is also accredited by the American Chemical Society, the Commission on Accreditation of Allied Health Education Programs, the Commission on Collegiate Nursing Education, the Council on Social Work Education, the National Association of Schools of Art and Design, the National Association of Schools of Dance, the National Association of Schools of Music, the National Association of Schools of Theatre, the National Council for Accreditation of Teacher Education, the Engineering Commission of ABET and Technology for the Bachelor of Science Degree with a major in engineering, and other agencies. characterized by “an atmosphere of search and confrontation that will liberate the minds, enhance the discernment, enlarge the sympathies, and encourage the commitments of all students entrusted to (it).” For more than a century, Hope has cherished the conviction that life is God’s trust, a trust which each of us is called to personally activate by an insistent concern for intelligent involvement in the human community and its problems. Hope’s Reason for being is each individual student. It seeks to develop the growth of each student as a competent, creative, and compassionate person. Its design is to provide a complete opportunity for the fulfillment of each individual student, not only for his or her self-gratification, but also for what can be given to others in service to God and humanity. Hope Believes that a vital faith, which provides both the incentive and dynamic for learning and living, is central to education and life. Hope Welcomes capable men and women of all social and economic levels. Hope is interested in students who sincerely seek to enlarge their minds, to deepen their commitments, and to develop their capacities for service. Hope Provides an adventure in learning and living, not only for knowledge and wisdom, but also for understanding, meaning, and purpose. As partners in this seeking fellowship, Hope students find a faculty of professionally distinguished scholars who have a genuine concern for the total development of each student. Hope’s finest professors teach introductory as well as advanced courses. Independent work on a self-directed basis is encouraged. Hope Offers a well-equipped and friendly environment. Campus life pivots around residence halls, which serve as social centers and provide congenial surroundings for students to learn with one another. The diversity of student backgrounds, geographic and ethnic origins, and personal interests adds variety and richness to the group living experience. The campus is accessible to students who are mobility impaired. Examples of all housing options (residence hall, apartment and cottage), as well as most major academic buildings, are accessible to mobility-impaired persons. Many co-curricular activities and cultural events provide a variety of rich opportunities for learning and personal development. Hope Prepares men and women who are persons in their own rights — uncommon men and women who have a personal dignity based on intelligence, a sense of responsibility, and a deeply rooted faith. For more than a century, Hope has prepared alumni to go to the four corners of the world — alumni who have enriched their professions and humanity far out of proportion to their numbers. Hope graduates aim to go beyond specialization toward a synthesis of all learning in life. Hope College is recognized nationally for its academic excellence as an undergraduate liberal arts college. The academic program provides a foundation and intellectual excitement essential to a lifetime of learning. Through its faculty, Hope College is noted for its emphasis on active learning, whether through collaborative research, internships, off-campus study, cooperative learning or other modes. Hope College is situated in a residential area two blocks from the central business district of Holland, Michigan, a community of 40,000 which was founded in 1847 by Dutch settlers. Located on Lake Macatawa and approximately five miles from beautiful Lake Michigan, Holland has long been known as a summer resort area. IOn several occasions national organizations have acclaimed Holland as an All-American college town. The campus is located on 120 acres and consists of 119 buildings of which 98 are student housing units. Hope College fields athletic teams in 18 sports, nine for men and nine for women. 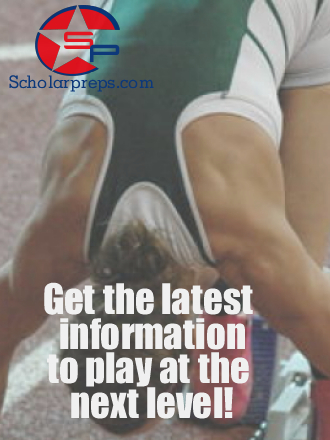 Sports offers men include cross country, football, golf and soccer in the fall, basketball and swimming in the winter, and baseball, tennis and track in the spring. Sports offers women include cross country, golf, soccer and volleyball in the fall, basketball and swimming in the winter, and softball, tennis and track in the spring. The college offers its student-athletes outstanding facilities for practice and competition. Hope has been a member of the Michigan Intercollegiate Athletic Association (MIAA) since 1926. The MIAA is a nine-member conference consisting of Adrian, Albion, Alma, Calvin, Hope, Kalamazoo, Olivet, Saint Mary’s and Trine. Hope has won the MIAA Commissioner’s Cup (All-Sports Award) more than any other member school. Winners of the Commissioner’s Cup 25 times since 1980, Hope has won the honor a league-leading 32 times, including the 2009-10 school year. Hope is a Division III member of the National Collegiate Athletic Association (NCAA). In 2009-10 Hope athletes and/or teams qualified for 11 NCAA championships. The Richard and Helen DeVos Fieldhouse opened in 2005. The fieldhouse provides Hope College one of the premier NCAA Division III spectator facilities for basketball and volleyball. Designed to seat approximately 3,400 fans, the DeVos Fieldhouse also houses the college’s department of kinesiology and athletic training program. Hope College plays its home football games at the Ray & Sue Smith on Hope’s campus. Known as Holland Municipal Stadium when it opened in 1979, the facility was purchased by the college from the City of Holland. A major renovation occurred in 2012 season, including the installation of a Pro Turf playing surface. The stadium can accomodate 5,300 fans in bleacher seating and several hundred more on an end zone hillside. The Kresge Natatorium in the Dow Center serves as the home for the college’s swimming and diving teams. An activity-oriented facility, the Dow Center also houses the college’s Department of Dance and the Health Services.